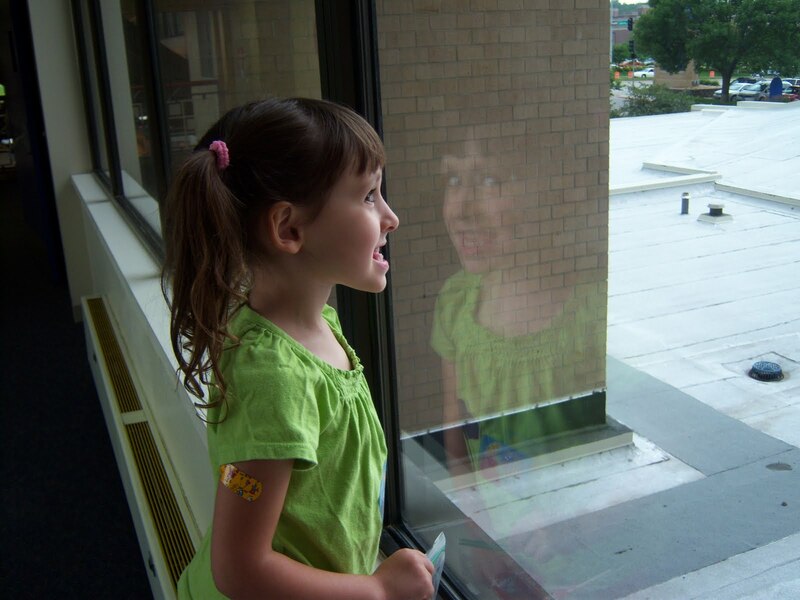 Rebekah recently did a study to compare normal hearing children's understanding of language vs. hearing impaired children's understanding of language. 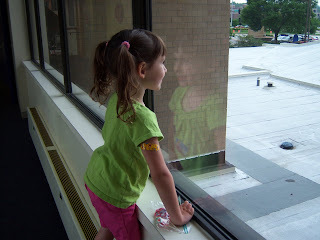 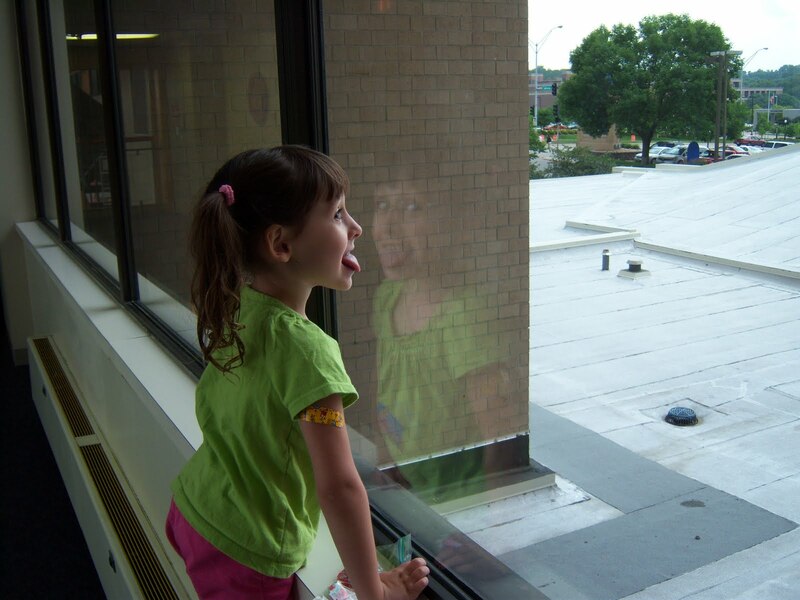 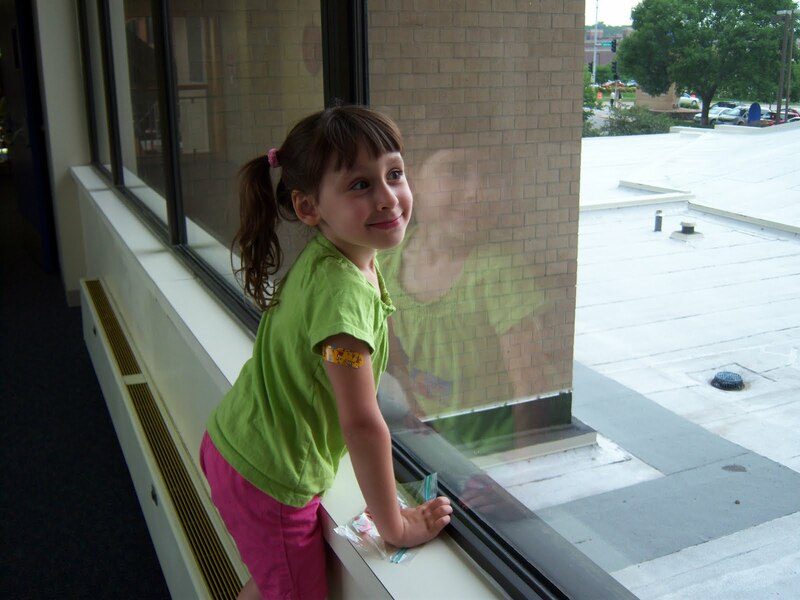 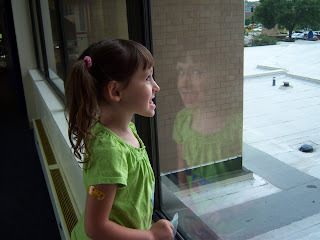 On the way out, Rebekah was looking out the window and we could see her reflection in it. I thought it was so cute so I snapped a few pics. Little miss sticking tongue out girl!